CPC-PCIe is a passive PCI Express CAN bus interface card and addaper for PCIe x1 slots. Designed for industrial applications, with a robust and cost efficient construction, the CPC-PCIe supports one, two or four CAN channels that can be operated independently with different data rates. 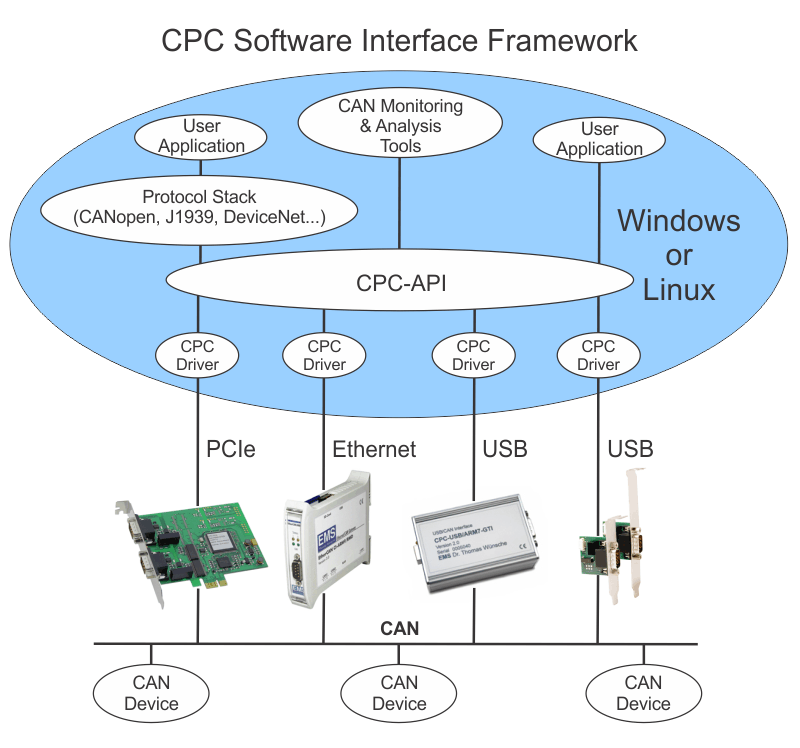 As a member of the CPC family of PC to CAN interface products, the CPC-PCIe benefits from the CPC Software Interface Framework, which provides a consistent host software interface environment for Windows and Linux based applications that is independent of the PC hardware interface being used. The CPC-PCIe can also be used with SocketCAN in Linux based applications. The emtas CANinterpreter is a versatile tool for monitoring and recording of data traffic in CAN networks and its analysis according to proprietary or standardized higher-layer protocols. Configuration and CAN communication with CPC-PCIe are done by accesses to the memory address area of the PC. The appropriate data areas are mapped by CPC-PCIe and "plug&play" software into the memory address space. Due to the direct access to the CAN controllers the CAN communication takes place with low latency time The memory used by CPC-PCIe is divided in several sections. The control registers allow the detection of the interface type similar to the interfaces CPC-Card, CPC-XT and CPC- 104 and the generation of hardware resets for the CAN controllers. 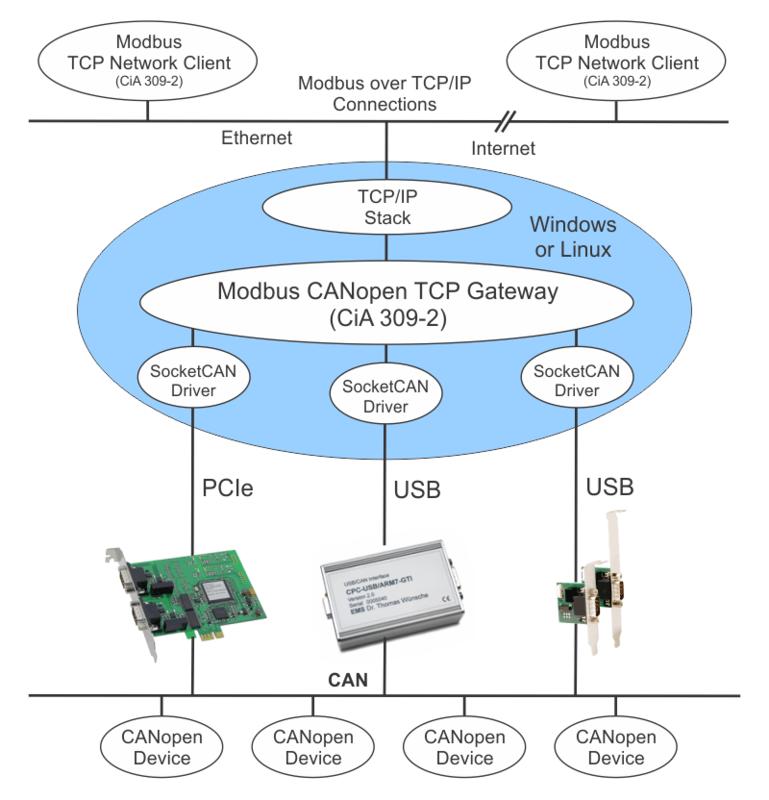 The access to the CAN controllers occurs via a separate memory space for each interface. In these memory spaces, the sending and receiving buffers as well as the control registers of the CAN controller are accessible. 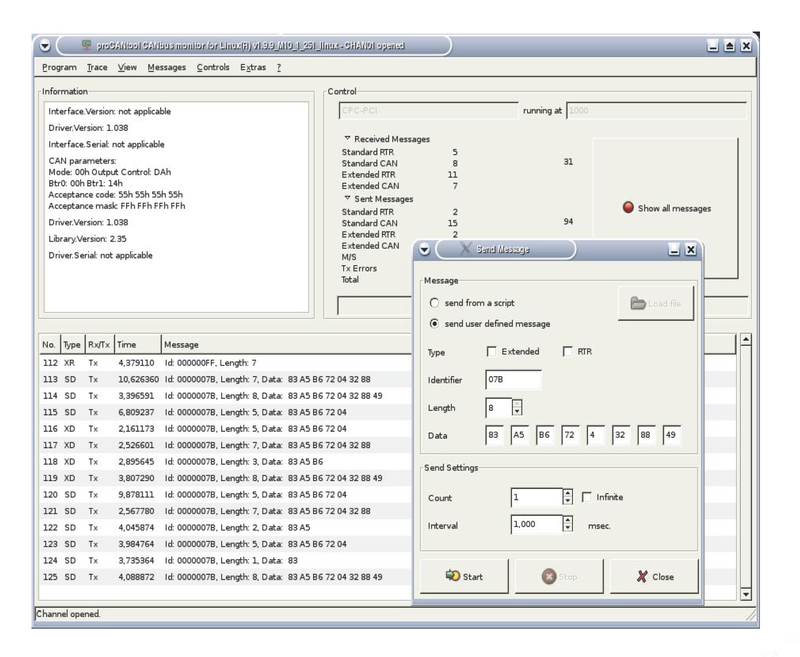 A specification describing the access of the CAN controllers and drivers for Windows and Linux are available separately.